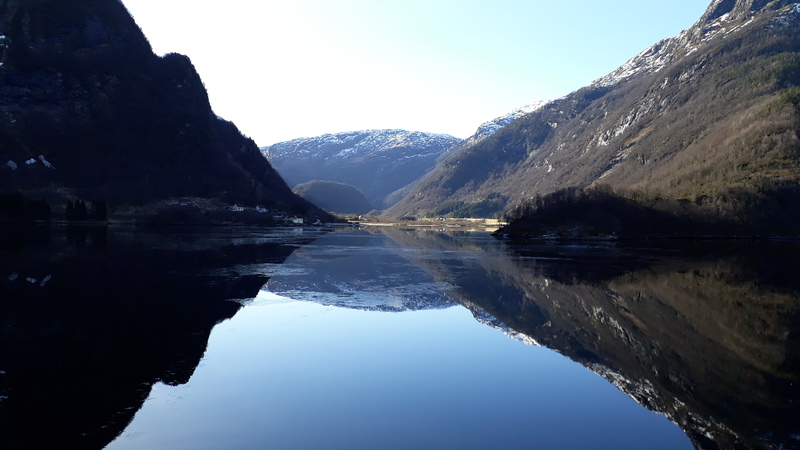 While Nadine is wathing icebergs drift by in the Southern Ocean, I brought the students in GEOF232 back to Masfjorden, a fjord just North of Bergen. No icebergs to be seen there (luckily), and the only thing we saw drift by was Our own DIY drifters that we had deployed in the fjord! A drifter is simply an Object that drifts With the Ocean currents and then on a regular basis reports its position back. Now, you can pay a lot and buy a fancy drifter… or you can build Your own (almost as fancy). That’s what Our handy technician Helge Bryhni did! All you need is some paint trays, a bucket, flotation, some rope and chain – and one of these devices that you are supposed to put on your (expensive) car so that you can find it again if it gets stolen. To be on the safe side, Helge opted for a radar reflector and a water proof container. 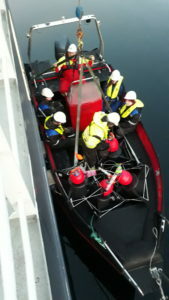 The students got to decide where and how to deploy our four drifters – spread out or together? in pairs with different depths*? near a river outlet? on rising tides or sinking tides? – and once they were in the water they could sit back and follow the drift on their mobile phone! *by adjusting the length of the rope we could Place the bulky plastic part of the drifter on the Depth we wanted, and the drifter would then follow (and show us) the water motion at that Depth. 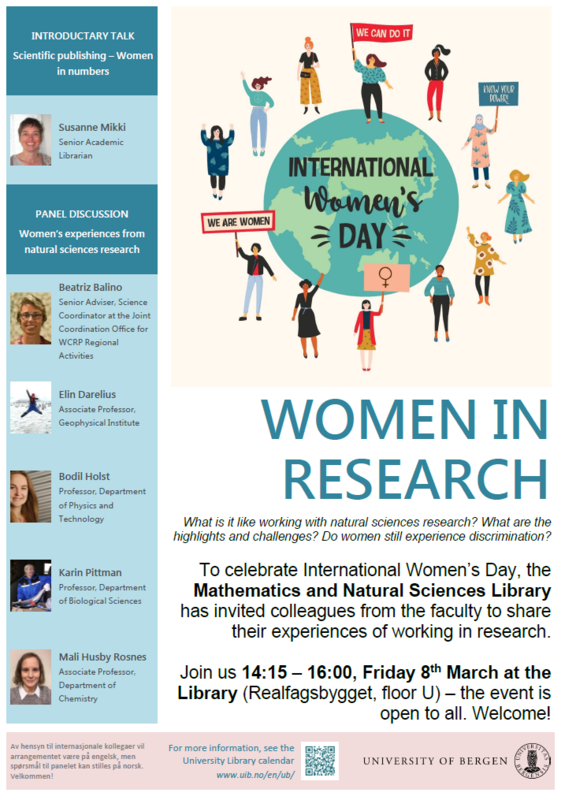 … if you don’t know what to do on Friday afternoon… then maybe drop by the library in “Realfagsbygget”, Bergen! … and yes, that’s me jumping with the penguins! 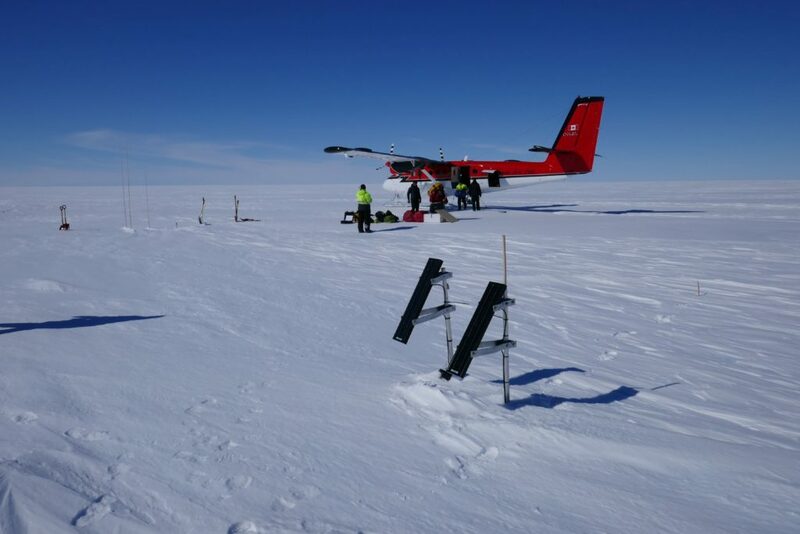 Yesterday the weather finally allowed the technicians from the Nowegian Polar Institute (NPI) to leave the research station Troll and fly out to go treasure hunting on the Fimbull ice shelf! 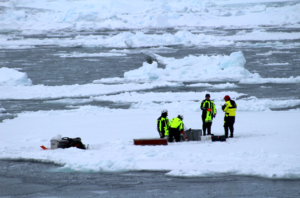 Two years has gone by since they last visited the sites where NPI installed sub-ice shelf moorings more than ten years ago… and where we two years ago installed an “ApRES”. 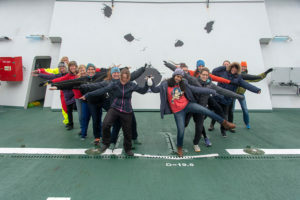 While the sub-ice shelf moorings measure the temperature and the currents in the water beneath the ice shelf, the APRES measures how fast the ice thins, and we can then calculate the basal melt rate. When combining the records we can hopefully learn a lot! 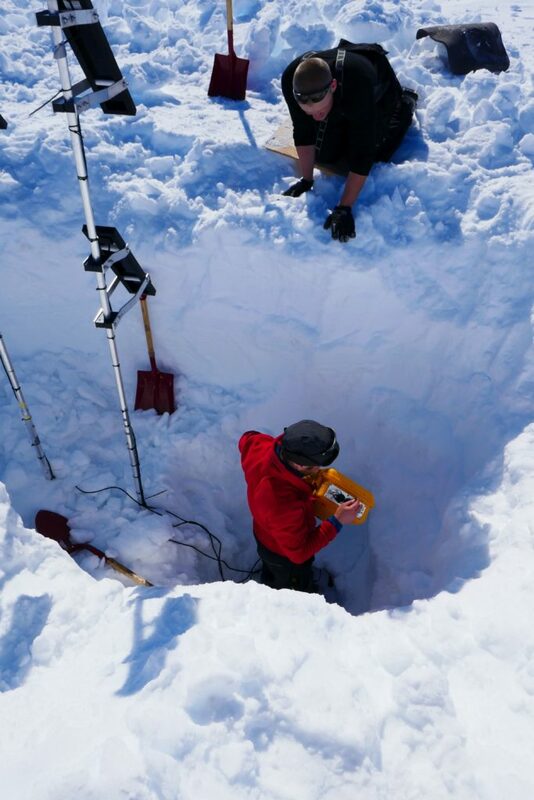 Like most Places in Antarctica, the snow that falls on the Fimbull iceshelf never melts away, so there was a few meters of snow to dig through in order to reach the instruments and to download the oh so precious data – a true treasure hunt! Judging from the photos, the solar panel system that Helge Bryhni, a technician here at GFI, helped me design in order to power my APRES, appear to have survived two Antarctic winters… and we are now eagerly waiting for the report on how they’ve performed… and to have a look at the new data! 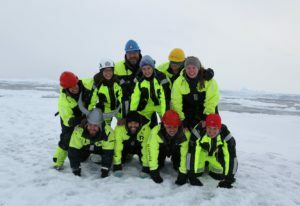 More stories from the successful treasure hunt at the Fimbul ice shelf will appear at @oceanseaicenpi soon! The Santa Claus at the Norwegian Research Council distributes his gifts already during the first weeks of December… and this year one of them landed on our desk! Our Project iMelt (which is short for “Ocean-ice shelf Interaction and channelized Melting in Dronning Maud Land”) led by Laura de Steur at NPI got funded! The recent increase in the Antarctic contribution to global sea-level rise is a major concern given that the majority of the world’s population lives along the coastlines. This increase, which is now thought to be irreversible in West Antarctica, is triggered by ocean-induced melting beneath the floating parts of the ice sheet known as ice shelves. Most basal melting occur near the ice-sheet grounding lines and the ice-shelf fronts, as well as within basal channels underneath the ice shelves. 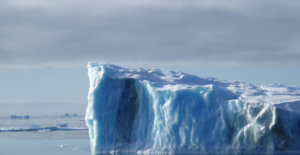 This project will quantify the processes and importance of ocean-ice shelf interactions and channelized basal melting in Dronning Maud Land, East Antarctica. 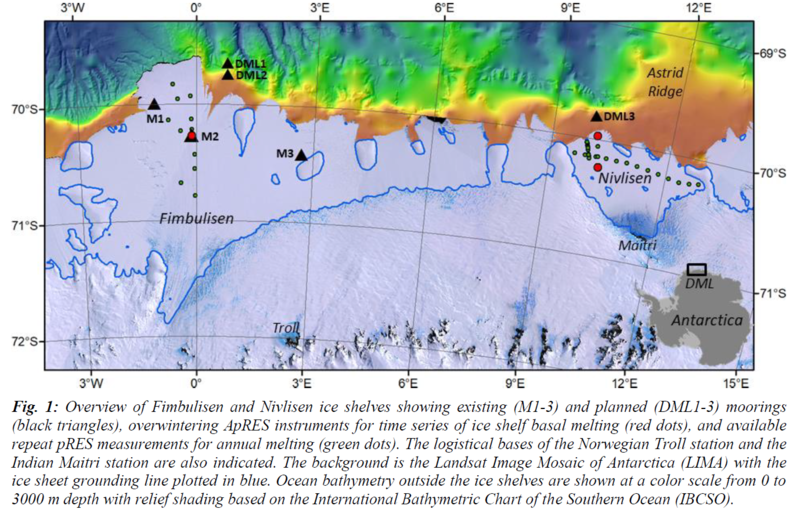 The main focus will be on Fimbulisen ice shelf which has a complex network of basal channels in the central part of the ice shelf and a tongue that extends seaward of the continental shelf. 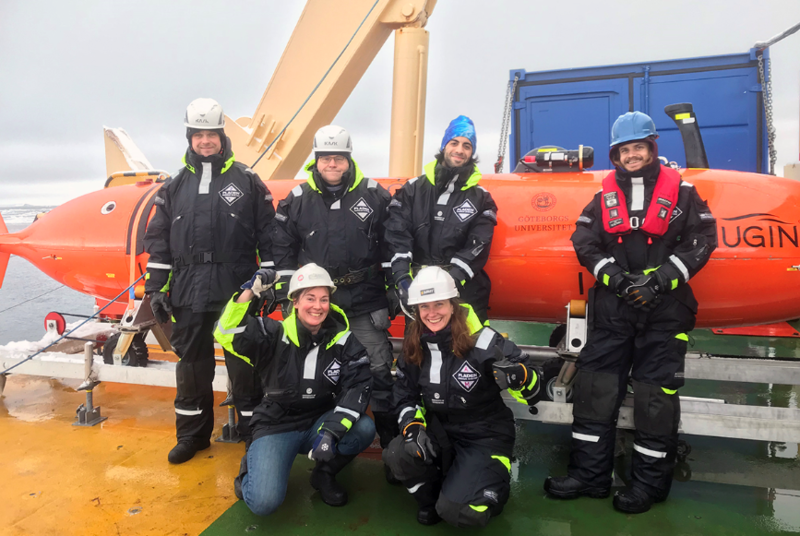 Under-ice shelf data has been collected at Fimbulisen since 2010 and new, planned infrastructure along the coast of Dronning Maud Land will allow us to investigate ocean processes outside the ice shelf. Three autonomous radars are also deployed on Fimbulisen and Nivlisen ice shelves to monitor ice-shelf basal melting directly. 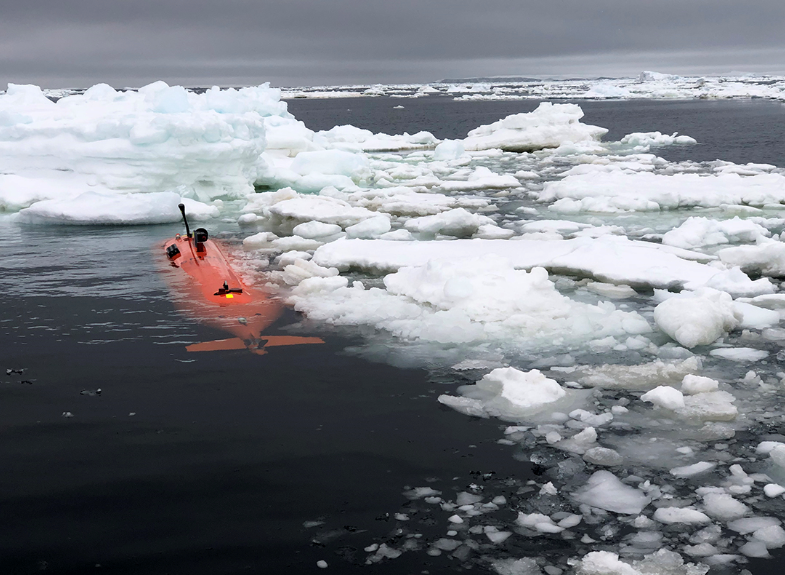 The Project will quantify the relationship between far-field ocean dynamics, ocean-ice interactions and basal melt rates through these concurrent oceanographic and under-ice shelf measurements. 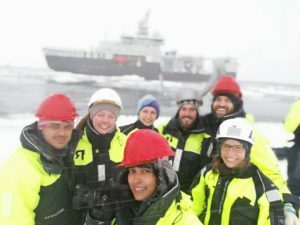 This interdisciplinary research combines in-situ measurements, satellite remote sensing, and high-resolution modeling of ice-ocean interaction in Dronning Maud Land and will provide fundamental new knowledge on processes related to basal melting, essential for a better understanding of the stability of the Antarctic ice sheet. … and this is the Fimbull ice shelf! Antarctic ice shelves are thinnening at an accelerating rate, and they do so because oceanic currents bring warm water (heat) into their cavities causing them to melt from below. When they melt away, the ice sheet upstream accelerates, ice (mass) is moved from land to the ocean and the sea level rises, threatening to flood vast and densely populated areas. A part from cutting down our CO2 emissions there’s nothing we can do about it, or is there? We can off course build walls, or dikes, to keep the rising seas out like they do in Holland, but what if we built a wall that stopped (or at least slowed it down) the sea from rising? Recently scientists from Princeton and Bejing Normal University suggested in the Cryosphere that in order to put off a potential collapse of e.g. Thwaites ice shelf (which is thought to be unstable and which is feed by a huge, marine based ice stream and thus has a potentially large impact on the sea level) further into the future we should simply build a large wall – not in Holland, but at the seafloor in Antarctica, in order to block the warm water and keep it from entering the ice shelf cavity. It sounds like science fiction – and the thought of constructing such a wall is more frightening than anything Hollywood can produce. The risks are huge, the environmental impact is enormous (and thats sort of the point of it) – but the consequences of not doing it may be likewise. Enormous areas would be flooded, millions of people would have to leave their homes as the sea keeps rising. A wall would only buy us time, it would postphone, not stop, what is happening around Antarctica. And it would have no effect at all on other consequences of global warming. We still need to cut down our emissions, sooner rather than later, to make sure that our children and grandchildren – and their children and grandchildren – can live on the planet we call home. So, if to build or not to build is the question, what would be your answer? I was interviewed by a journalist from Ekko, a Norwegian radio program, about the proposed wall and the melting Antarctic ice last week. You can listen to the program here (in Norwegian/Svorsk). I’m right at the end! 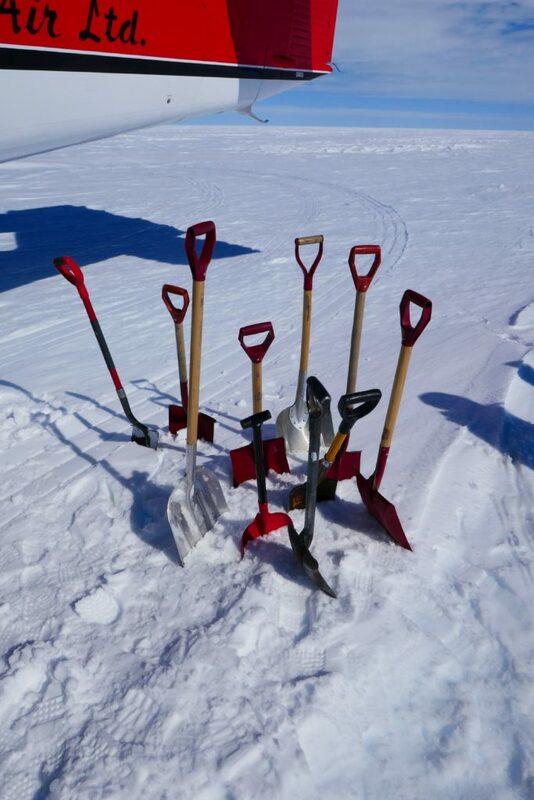 Antarctica has been in the headlines the last week – see e.g. the Guardian or Bergens Tidene – as a large group of scientists concluded in Nature that the Antarctic ice sheet has lost 2720 billion of tons of ice since 1992. 2720 billion tons… that’s enough ice to cover all of Norway with almost 8 m of ice… or to rise the mean sea level with 8 mm. The uncertainty is large, especially for East Antarctica, because it is not easy an easy task to quantify the mass change of Antarctica. Over the years three main techniques have been developed, either building on satellite altimetry (measurements of the height of the ice sheet), gravimetry (measurements of the gravitational pull on satellites) or budget calculations (combining estimates of snowfall with estimates of ice loss at the boundary of the continent) – each with it’s own set of challenges and uncertainties. The author’s have combined results from 24 independent studies, using different methods and models, and the results are unambiguous: Antarctica has been losing mass and the rate of ice loss is accelerating. Climate is changing; the ice loss is likely to continue and the sea level will continue to rise. It’s scary. I can go back into my office and try to understand more about what role the ocean is playing and about what is happening down south – but I cannot stop it. Not on my own. But maybe, hopefully, we can still do it together, all of us.